In recent years, Gerber Scout Reservation attendance has swelled from 900 in 1997 to over 2,500 in 2012. Much of this increase can be attributed to the 1998 initiation of the Cub Scout and Webelos Adventureland, a section of the camp dedicated to Cub Scouts. Gerber currently has the capacity to accommodate 425 Boy Scouts, 200 Cub Scouts each week or session. 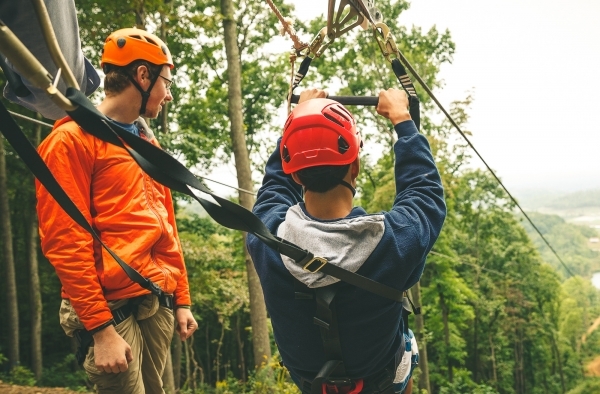 Activities offered at the camp include the Waterfront, Honor Ground, Climbing Tower/COPE, Scoutcraft, Handicraft, Environmental Resource Center, Archery, and Shooting Sports. In 2008, a Technology Center was added to the camp, offering a new-age spin on the traditional summer camp experience. The new dining hall, named the Ralph K. Merrill Centennial Dining Hall, was completed in time for the 2010 summer camp season. Centennial Dining Lodge boasts state of the art facilities, a capacity of over 700, and a safe place to take shelter. Didn’t get enough shooting sports during the summer? Well, we have the solution for you. Our ranges are going to be open select weekends this fall and spring. We will be starting at 9 am at Tech Center for some indoor instruction. Rifle is $25 for the badge and $7 for open shoot. Shotgun is $38 for the badge and $18 for the open shoot. After all participants have qualified for their badge (around 1 pm), we will run open shoot for those who are interested. If you would like to make a weekend out of it, have your troop rent a campsite. Don’t forget to register because slots will fill soon.